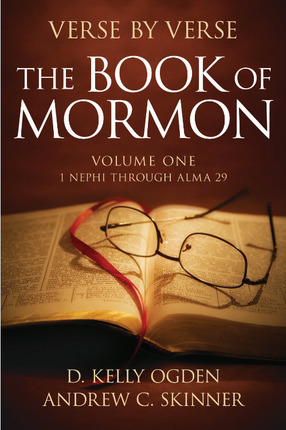 Do you want to expand and deepen your study of the Book of Mormon? If so, you will find what you're looking for in this commentary written by gospel scholars D. Kelly Ogden and Andrew C. Skinner. 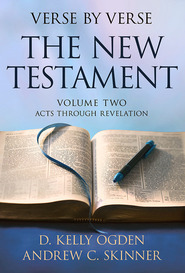 It incorporates sound doctrinal commentary with quotations from General Authorities and explanations of difficult passages—all sprinkled generously with the authors' own experiences to illustrate great lessons and personal applications. Despite my critical points, this has been an excellent resource! 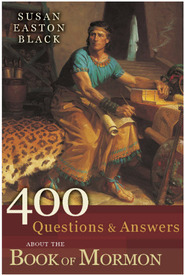 This book has been a delightful addition to my scripture study. It's for the "average" LDS person. If you are a scholar, look for more intense books by Gileadi. 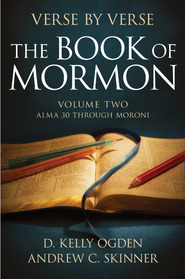 If you want something that is simply an introduction to help you get the ideas presented, then The Book of Mormon Made Easier: Part 1 might work better for you. As a long-time member who wants to reach more depth, some history, and quotes related to the scriptures, this book suited me well. On criticism, the book occasionally goes into occasional conjecture. "It is obvious that he had his calling and election made sure"...where it would have been more solid to say this scripture states "...." which indicates his calling and election was made sure. A few times their information seemed more opinion than research. And some other things where the one "like unto Moses" may be a future prophet was eliminated on the assumption that it was Joseph Smith. It would be nice to know be presented with possible interpretations on some of the scriptures where they seem clearly to believe one way. They DO include alternative interpretations on some of the verses. Finally, some people are upset that every single verse isn't covered--that in some cases, a section of verses instead of addressing each one individually. I believe that the authors wrote what they could and what they felt was important. There are already two volumes, so obviously it is well covered! There were a few times where I wished for more information. For that, there is a reference online that may be of assistance. Search the terms: lds scripture citation index where you can look for a scripture and find conference talks that have quoted it. It's much more tedious than these Verse by Verse books, but for the few you really want to know more, it could help! Despite any criticisms, this book opened up a lot for me. I loved the quotes presented (wish there were more!) and the interesting details which added testament to the truthfulness. (like how Nephi went DOWN into the wilderness and back UP to Jerusalem)..indicating the topography that he traveled. I never thought of that! I've purchased Book two. As well as the Old Testament versions. Very valuable to me! You won't regret any time reading these with your scriptures. I was very disappointed with this book and its companion volume. 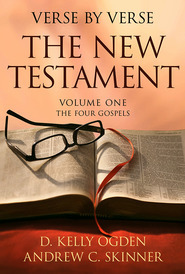 Neither provides a verse-by-verse summary as stated in the title. 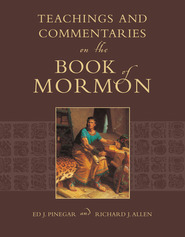 Throughly enjoyed reading the Book of Mormon with the insights and thoughts provided by the authors. I have sent copies of both books to relatives as gifts. It is perfect for me to use with my daily scripture study. I love the insights in the commentary. The authors are among the tops in the Church. This is a great book as far as the content. It does have one problem with function. The copy function doesn't work. It highlights the text and the copy tab shows it copying, but when I try to paste to a document there is nothing to paste. The information in this book is too valuable not to be able to have this function. I hope you can fix it.